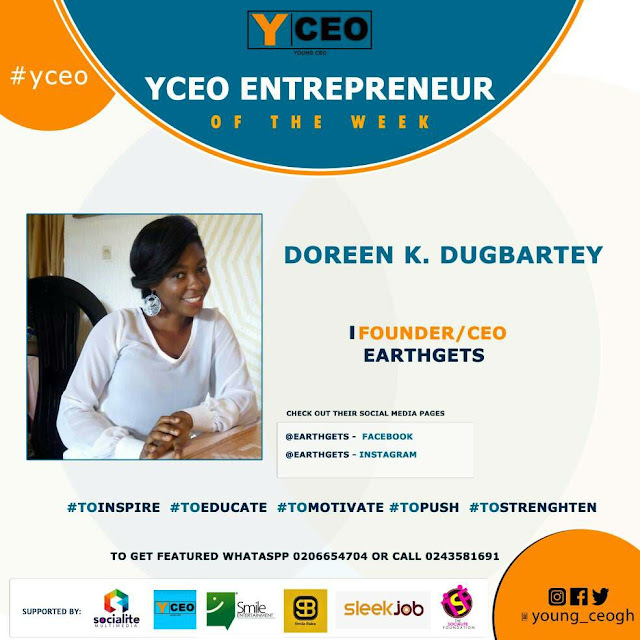 Y'CEO ENTREPRENEUR Caught up with Doreen Dugbartey founder and ceo of EARTHGETS to share with us and the world her start up story in other to inspire someone out there who want to take the bold steps she took, but lack the zeal and motivation. My passion to influence consumers choice positively of all the need to dress up brought this idea of setting up this business to life and secondly, seeing my mum's growth and expansion in this same business gave me all the motivation I needed to give my best to take my own business ideas on since I had an upper hand because of some distinguished designs of attires i had sketched that have never been in existence. My success is attributed to prayer, determination and hard work but most importantly to God and the words of encouragement from friends & family. This business commenced on the first month of 2017 but was chartered on the 1st of April, 2016 I funded this business with the little money I had saved from my National service days even though it was an infinitesimal amount. I have received some business offers but I've reserved it for a year or two so there has been no additional funds from anywhere so far. My business (Earthgets) is now being popularised so credibility will be attained over a period of time. 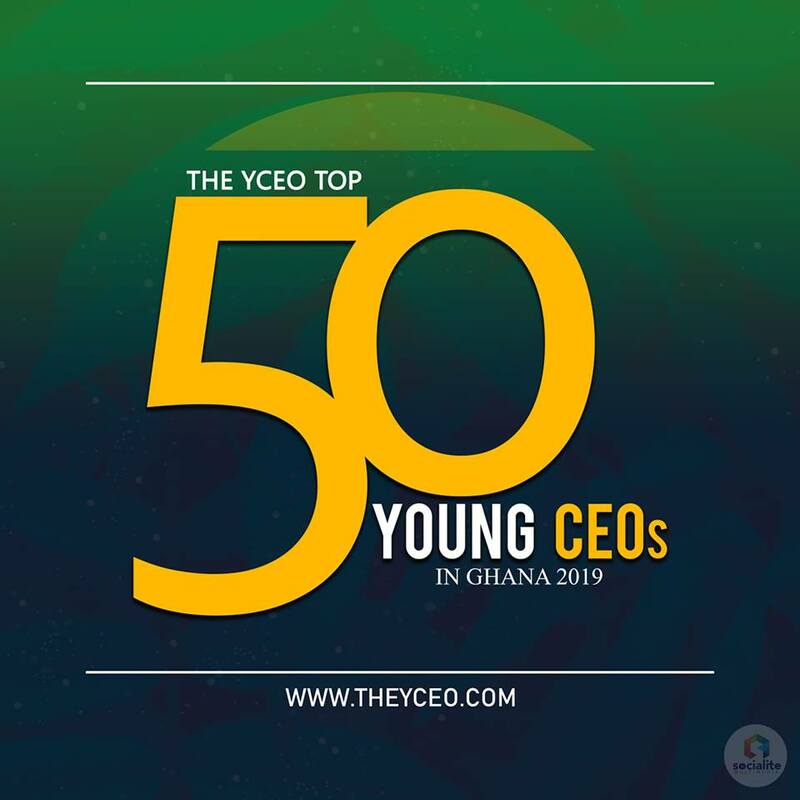 The world, Ghana inclusive is a technological village where social media plays a key role in the advancement of a business, I also take advantage of it to advertise my products and services. My biggest challenge is financial constraint to bring on board my designs and finalise my business plans. I'm an optimistic person who sees failure as a mere set back that is preparing me for bigger opportunities but when I do fail I go back to my books, correct the errors and do extensive research in order to avoid that failure from reoccurring. I learn not to give up on myself because the best person to bring my dreams to fulfillment is none other than "me"
I wish I knew more about marketing to comfortably sell my ideas to the world but I will still take that course on behind the scenes. My worst advice from people " Your dream is nothing special, you can't do it so give up already"
" You have the potential to become great so put all fear aside and take your dreams on" The best advice that can testify of my success today. My favourite quote : "I can do all things through Christ who strengthens me"
Your generation is looking up to you and their destinies are tied to yours so don't allow your dream to be in your head only but in the eyes and minds of others..
Start with the little in hand for little is much when God is involved.